For a friendly family medicine practice by Yale-trained physicians in Newport Beach, California, come to Vital Urgent Care. In addition to our convenient walk-in clinic services, we also offer primary care services by appointment for the whole family. Typically an urgent care center is the bridge between a primary care physician and an emergency room, but by adding family medicine to our services we provide one convenient location for patients to receive the medical services they require for any non-emergency medical need. In addition to our family medicine services, we are also a walk-in clinic that is open seven days a week, with extended hours on the weekdays. So for non-emergency conditions, such as sprains, eye infections, urinary tract infections, etc., you can stop by the same office without an appointment to receive care from the same physicians and staff you know and trust. 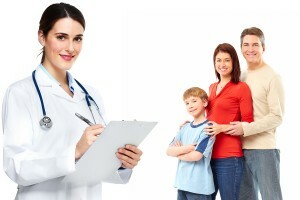 To learn more about the family medicine practice at Vital Urgent Care, contact us today. If you are currently struggling with a non-emergency condition, simply stop by our clinic in Newport Beach, CA or schedule yourself in the next available time slot with our online ZipPASS system.